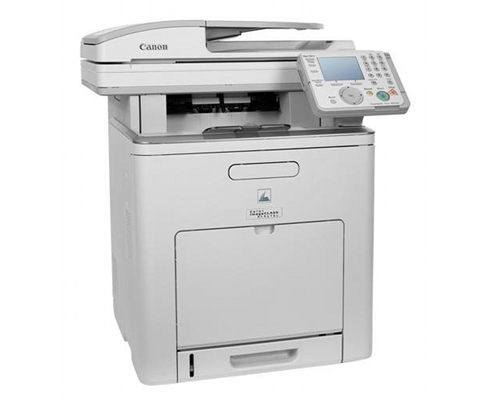 The Canon imageCLASS MF9170c is a multifunction color laser unit with print, copy, scan and fax functionality built into a package designed for office use. The unit measures 21.5" by 20.8" by 24.7" and weighs 85 lbs without consumables and 96 lbs with them. This makes it too large to be placed alongside other equipment and essentially requires that the unit be given its own cabinet or credenza, where it will fit comfortably. The copier produces copies at a maximum resolution of 600 by 600 dpi, with 256 levels of halftones, and at a maximum speed of 22 copies per minute in both black and in color. It can reduce and enlarge documents between 50% and 200%, likely satisfactory for most applications though some copiers offer 25%-400% if desired. The unit can make copies of documents up to 8.5" by 14" on its platen and between 5.5" by 5" and 8.5" by 14" on its automatic document feeder, which can take up to 50 sheets at a time. The copier includes Auto Color Select, Auto Exposure, Frame Erase, Memory Sort, Toner Saver Mode, 2 on 1, and 4 on 1 support. 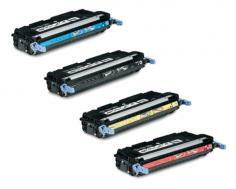 The printer produces documents at 600 by 600 dpi (equivalent quality to 2400 by 600 dpi) and at the same speed as it copies, 22 pages per minute for black and color, and takes paper from either its cassette or its multipurpose tray. Users can also connect memory cards directly into one of the unit's two USB interfaces in order to print documents directly from memory cards (USB memory stick, Compact Flash, and SD cards are supported). The scanner is a color CCD that can process documents at maximum resolutions of 600 by 600 dpi in black and 300 by 300 dpi in color, well under what some other MFPs' scanners can process. It does offer a number of substantial conveniences, however: it includes two USB host ports, making it possible to connect USB flash memory devices directly to the printer and scan to them in JPEG, PDF, text, and TIFF formats. This may prove extremely useful; according to Canon, the scanner only functions when networked to Windows-based PCs. It also can scan to e-mail, to SMB, and to FTP, like most office scanners. The fax machine transmits documents at a maximum speed of 33.6 Kbps. The fax has its own memory capacity of 1000 pages and faxes at a maximum resolution of 406 by 391 dpi. It includes speed dialing of up to 200 locations and can be configured into several receive modes based on how you use your fax: it can be set to receive faxes only, to receive them manually, to answer automatically, and to automatically switch between fax and telephone use. Paper handling includes a full-duplex 50-page automatic feeder, a 250-sheet front-loading tray, and a 100-sheet multipurpose tray. If necessary, the printer's paper capacity can be expanded by adding a 500-sheet cassette pedestal, which makes it possible to process well over a ream of paper without reloading, making this printer suitable for most office environments with moderate paper throughputs. The system connects to computers via either USB 2.0 or 10/100 Base TX Ethernet, making it possible to network the printer without any additional purchases. Purchase of an MF9170c includes a year of on-site service with the limited warranty. Canon's drivers for Mac OS-based systems are extremely limited and much less robust than its Windows-based drivers, as scanning functionality is totally unsuppored by them. Review it: "Canon imageCLASS MF9170c "
The MF9170c requires replacement of four cartridges to maintain printer function. 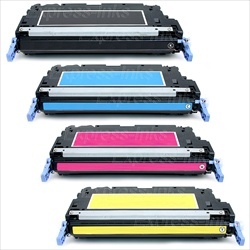 You will need to replace cyan, magenta, yellow, and black cartridges at approximately every 6000 pages at an average of 5% coverage. To reduce downtime and inconvenience, but at the potential expense of added cost, Canon units integrate toner, developer, and the drum unit -- in essence, all consumable components -- into a single, easily-replaced piece of equipment. In doing so, this brings down one's downtime, but does increase the cost of cartridges.